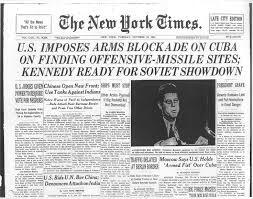 The world gave a huge sigh of relief 55 years today when an agreement to resolve the Cuban missile crisis was reached by the USA and the Soviet Union. A historic accord that averted the immediate threat of nuclear war between the two superpowers and an inevitable mass loss of life globally. The crisis started a fortnight earlier when a United States U2 reconnaissance plane spotted the existence of Soviet missiles on Cuban soil. A location unacceptable to the Americans as it gave the USSR capacity to target the USA with weapons of mass destruction from the neighbouring Caribbean island. On first examination of reconnaissance photos, military intelligence initially thought the Cubans had developed a new super cigar. Although sceptical whether anyone had a mouth big enough to smoke it they decided to undertake more forensic analysis of the pictures. In response, America immediately set up a naval blockade around Cuban waters, introduced sanctions and banned citizens from eating guacamole on Wednesdays. When it was pointed out that guacamole was Mexican not Cuban they banned burritos instead. Having realised that culinary delicacy was also Mexican, the ban was lifted and the word Hevos became discouraged! 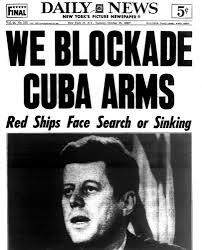 If the armada of Soviet ships carrying further missiles had progressed as far as confronting the US ships blockading Cuba there was a very real global fears of a military incident. 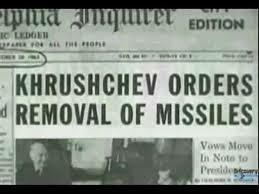 Actions that if had taken place it may have been pivotal in escalating the crisis into a catastrophic nuclear war. The worldwide tension for those thirteen days in October 1962 was tangible. 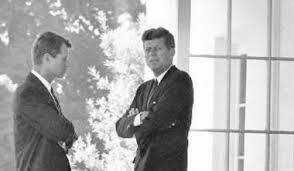 The US president John F Kennedy spent hours with advisors locked in meeting rooms during the crisis…………. Furious at his inadvertent incarceration, he vowed entrusted the Attourney General, brother Bobby Kennedy, with the door key! JFK after he heard he was stuck after Bobby lost the key for the meeting rooms. As apprehension grew, Soviet and Cuban migrants living in the US were ruthlessly targeted by cold callers trying to sell them insurance and exposed to back to back Lucille Ball shows. 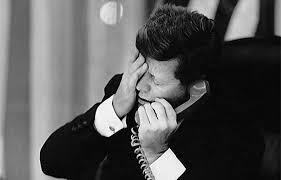 As the Russian ships progressed ever closer to the US blockade, JFK decided there was only one strategy to resolve this, so he reached for the Bat Phone. Unfortunately, Batman was out of town so it was back to square one for the president. This rhetoric stirred the Soviet people who held a car boot sale to raise funds for the war effort. 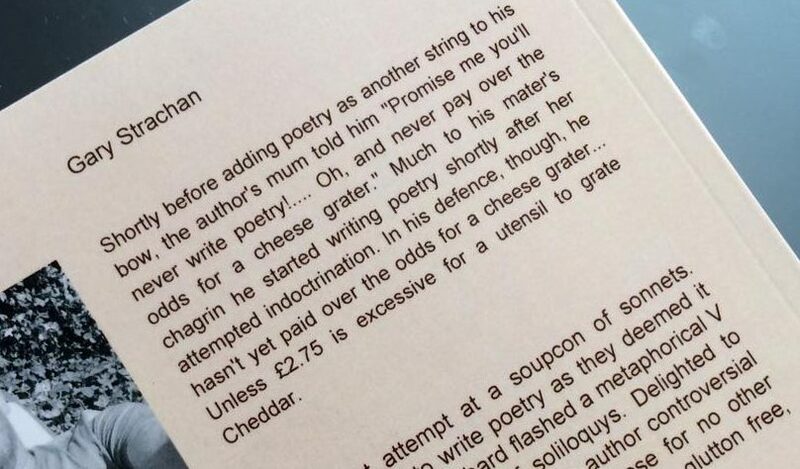 Their hard work led to the sale of 37 car boots and a scented candle that had been an unwanted birthday present. Finally, on 28th October 1962, the superpowers saw sense and an agreement was signed for the removal of Soviet missiles from Cuba. In return the US agreed not to invade Cuba and to stop the cold calls from insurance salesmen and constant Lucille Ball re-runs! Nuclear war had been averted, resulting in JFK and Khrushchev receiving accolades for their diplomacy and pragmatism. In further good news, New Jersey insurance salesman Toofer One achieved employee of the month for his record sales to Hispanic and Soviet people over the fortnight. Previous PostPrevious Good Riddance BST 2017!